Friend and Tablehopper Marci Gagliardi recently asked a bunch of us night owls where they like to eat late-night for Refinery29. I just love the ring of ‘Juanita’s Carnitas’. 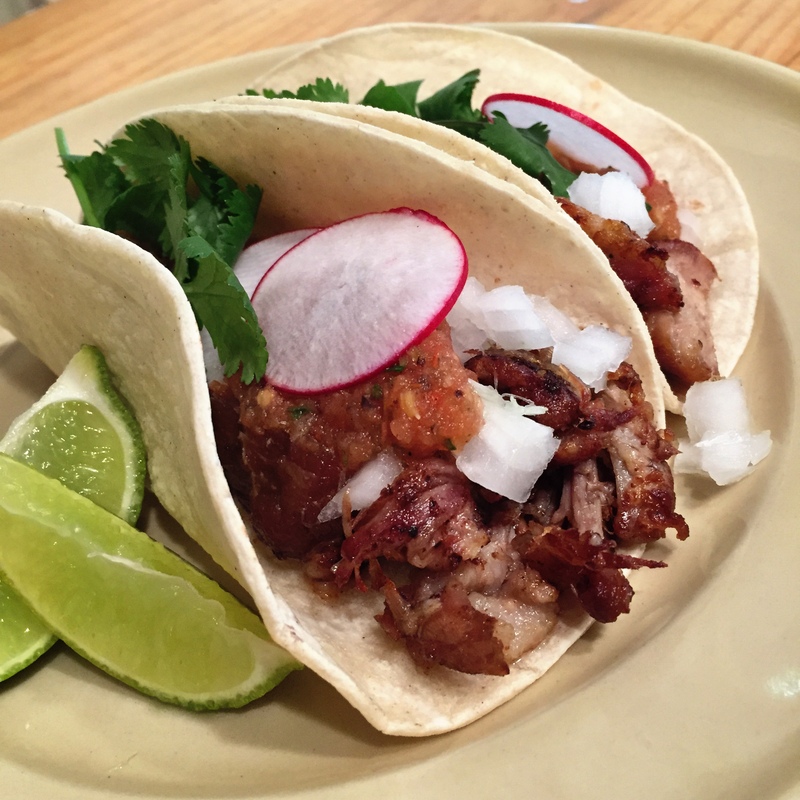 If you’ve haven’t prepared carnitas at home you are in for a treat. 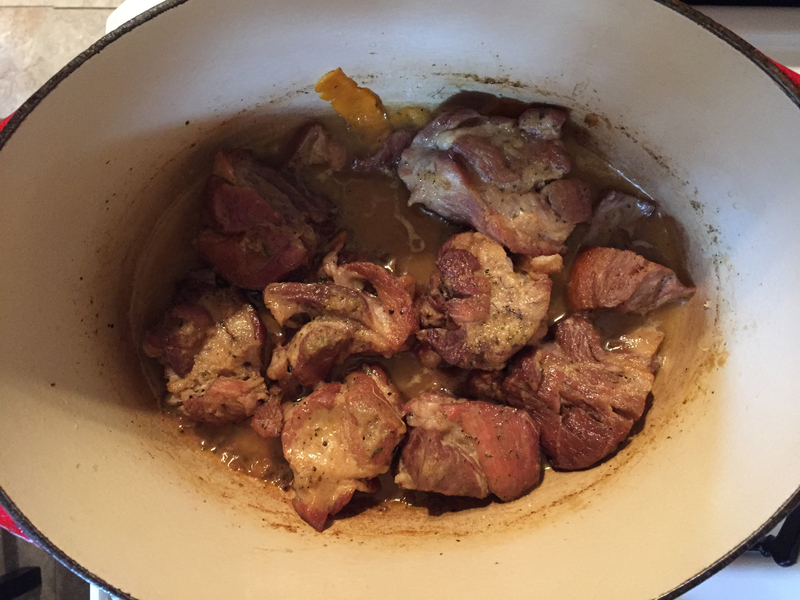 There is really nothing like the smell of the slow braising pork coming out of your kitchen. San Francisco has a taqueria on just about every block and they are featured on every menu. I mean a great taqueria is judged by their salsa, pickled jalapeños and the carnitas – right? These are very simple to make at home. 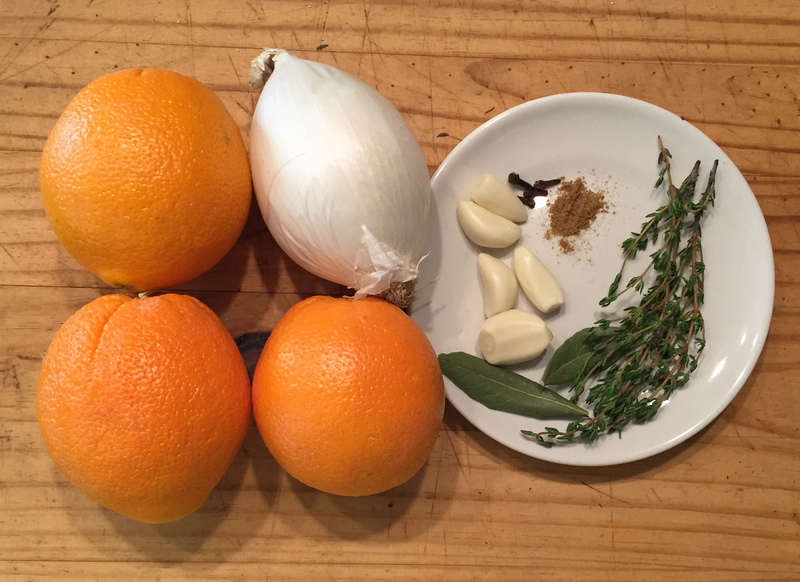 In the jar of a blender place the water, onion, garlic cloves, thyme, black pepper, cumin, cloves, bay leaves and 1-tablespoon salt. Puree until the liquid is smooth. Salt the pork chunks lightly while heating a large Dutch oven over medium-high heat. Add the lard and brown the pieces of pork on all sides about 15 minutes. Once the meat is brown pour the onion and spice mixture into the pot and bring to a simmer. Cook for 10 minutes. Add in the orange juice, zest and sweetened condensed milk, stir and let it come to a simmer, then reduce heat to medium-low to low and cover. Cook covered for 1-½ hours, stirring occasionally. Remove lid and check meat for tenderness. Let the meat continue to cook and the liquid reduce about 10 minutes. Remove the carnitas with a slotted spoon and shred with a fork, if desired before serving you can refry the meat in a separate pan with some lard until crispy. Or serve them straight from the pot.